Of course, my first day isn't over with simply Kotobukiya. 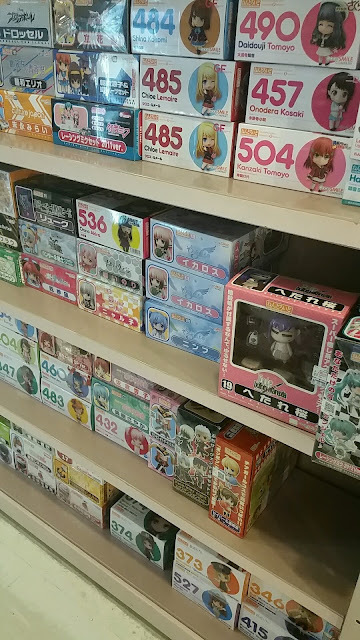 While on the way to Mandarake, I stopped by Animate. (1) Exit Akihabara station via Electric Town exit. (2) Proceed to the tall red building labelled "Karaoke" in Katakana (or Aoki). 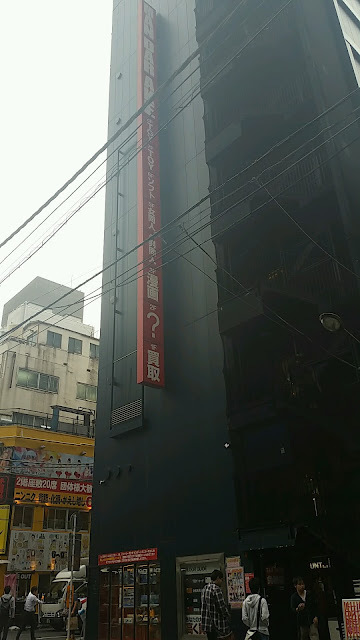 (3) Turn right after the building and continue in that direction, along Chuo-Dori, toward "Taito Game Station". 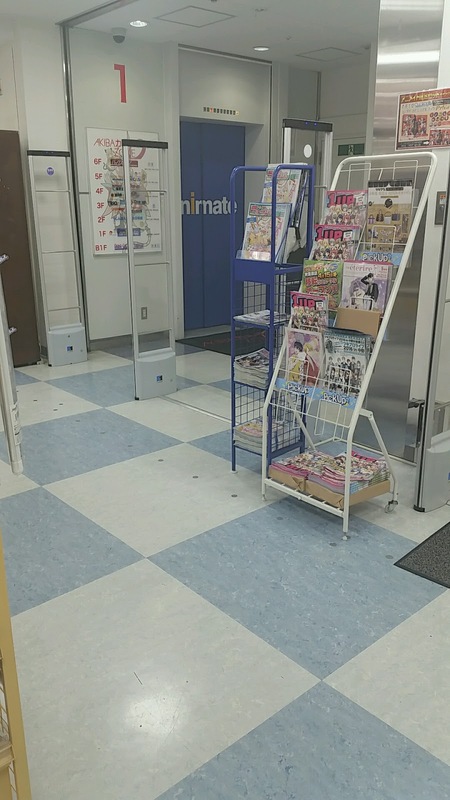 (4) Animate is a little further than Taito Game Station. 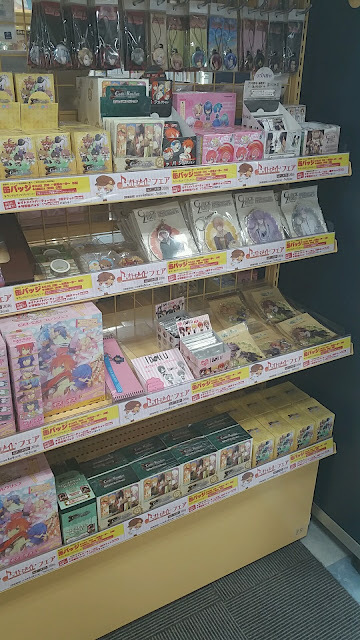 There wasn't much at Animate which interested me since I'm still adamant on the point that most Animate goods are grossly overpriced. However, for those who are interested, here's some examples of what they have to offer. 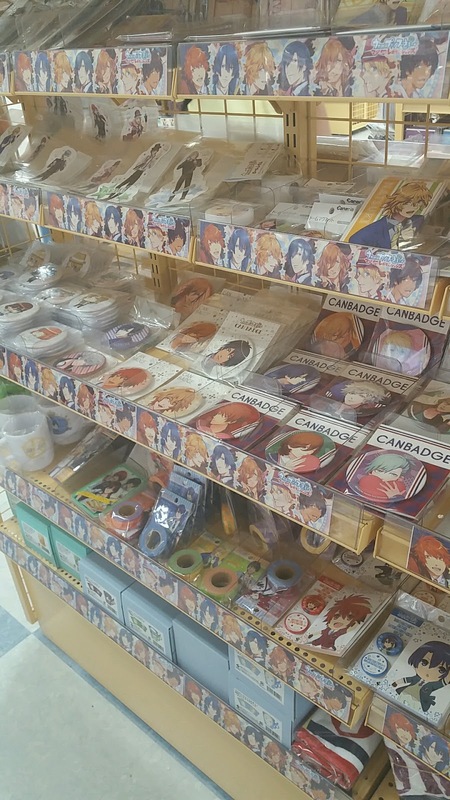 Upon entering, Free! 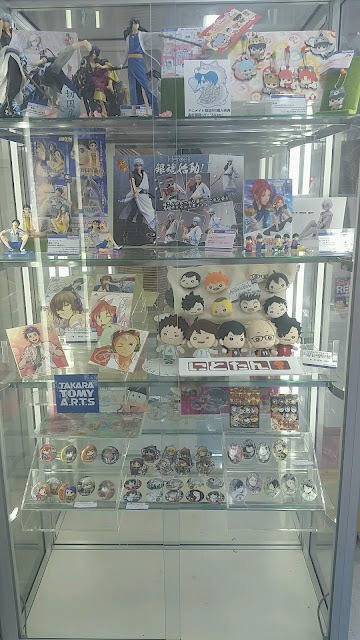 and Haikyu! were the two things that caught my eye first. I wasn't interested in the individual goods as I already own most of those I would like to collect. Though, it seems that straps, badges and plushies are the main scope for these two series. 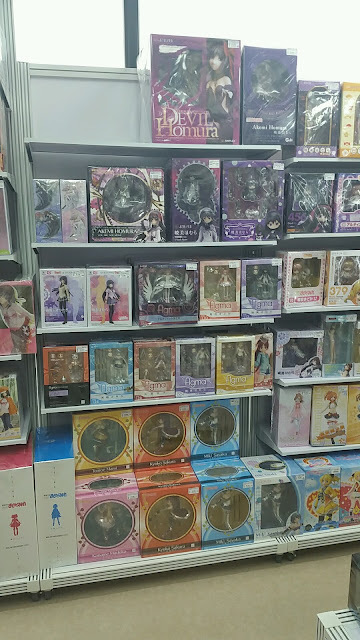 School-Live (Gakkou Gurashi), UtaPri, GochuuUsa and Monogatari Series were the next few series featuring non-figure goods that I spotted. Leaving School-Live aside, which I only spotted 2 tapestries for, the other series are rather popular big-names in Japan and there's no surprise that they would have individual displays and shelves dedicated to them. Figures and Nendoroids do have their own glass display shelves. It seems like the one in the image below have an idol theme, and features Pri Para, Love Live! 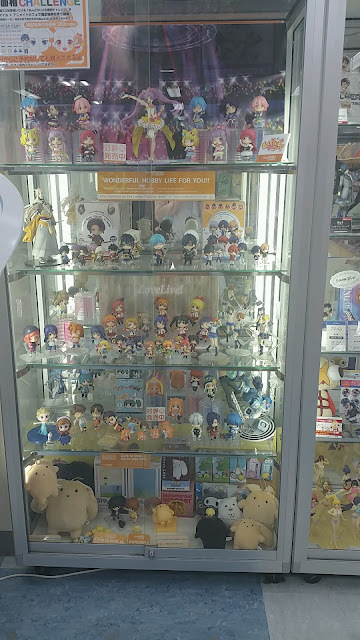 and some UtaPri Nendoroid Petites. 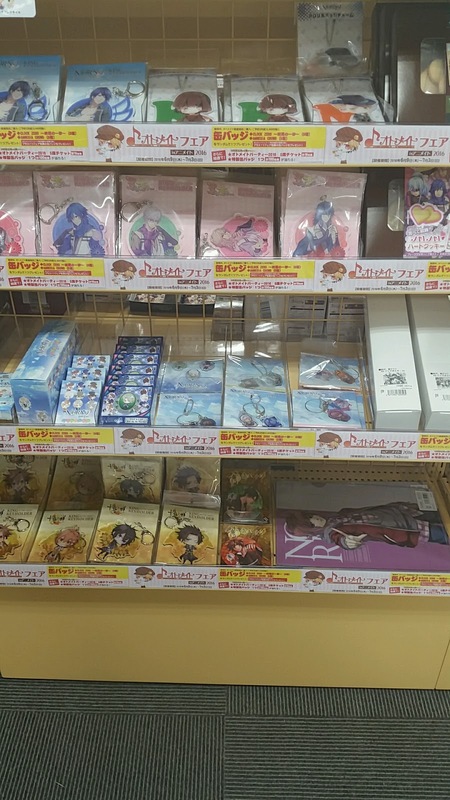 Of course, there are several other series not in the idol theme as well, such as Touken Ranbu, DRAMAtical Murder and Wooser. 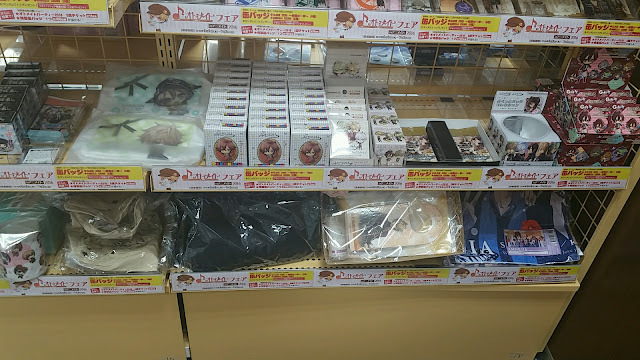 It's a nice change to see Frozen goods displayed as well, though I must claim that they do look slightly out of place here. Angel Beats!, albeit slightly old and possibly revived by Charlotte, has its own shelf. I didn't go too close to see exactly what merchandise Animate had to offer but I caught sight of the massive number of Dengeki Tenshi Dakimakura cover on sale. If you are a fan of Angel Beats! 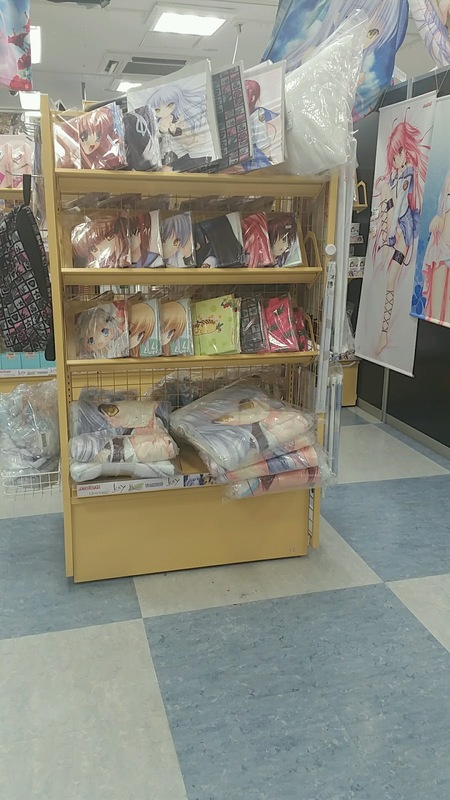 and love collecting tapestries or if you're currently sourcing for this specific dakimakura cover, I'll say to drop by Animate if you happen to be in Japan, or will be visiting it soon. 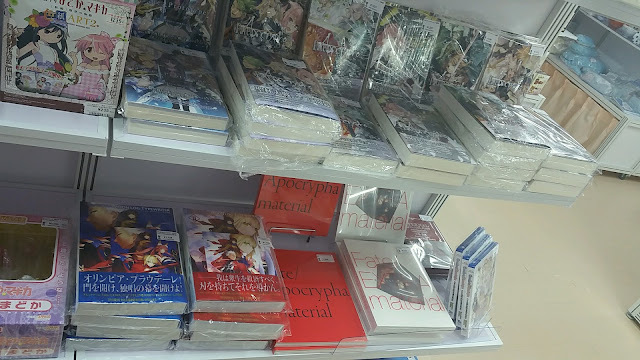 I can't say if they are new, but I believe in Animate enough to say that they probably aren't too used! 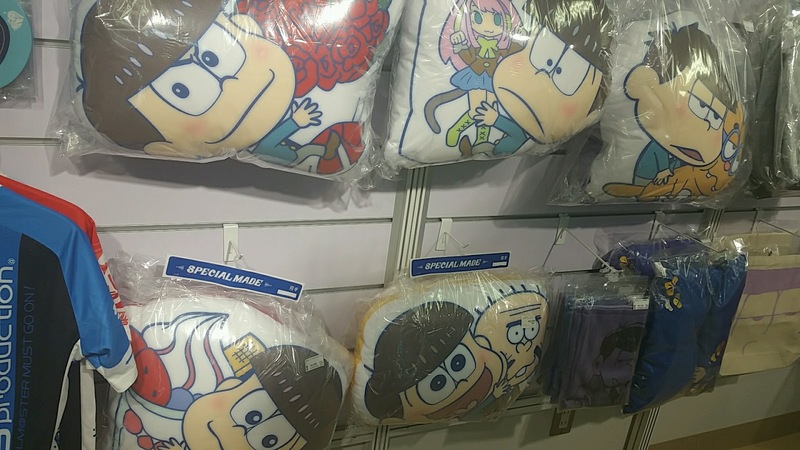 Next up, it's Osomatsu time. 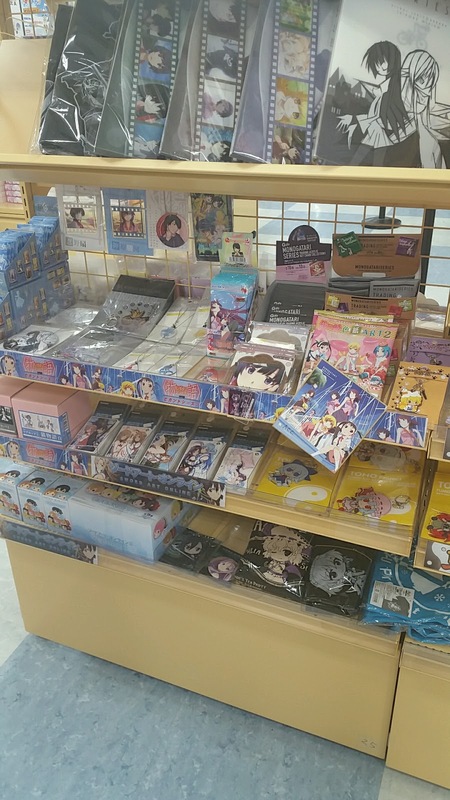 Being a recently aired, popular series obviously has its own perks as Osomatsu had 2 full shelves simply dedicated to the series. Right behind Osomatsu was Otomate's goods, and some notable series with their goods on display were Amnesia, Norn9, Hakuouki and Clock Zero. 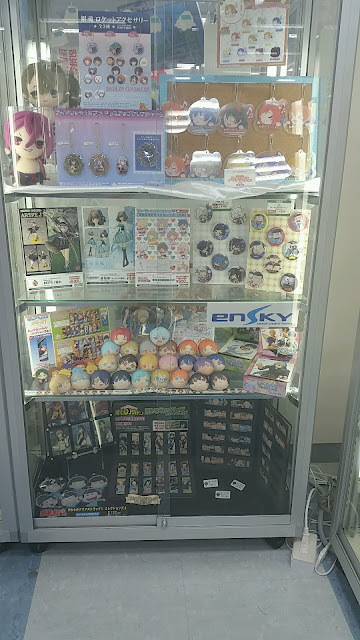 Next stop was Amiami, and this is the first place that I actually had a loot in since the start of this trip. 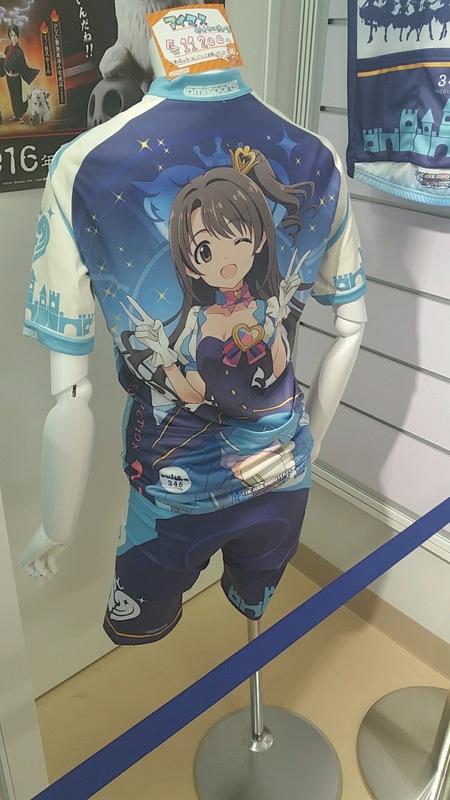 At Amiami, I purchased Kousaka Honoka's Training Outfit Nendoroid. 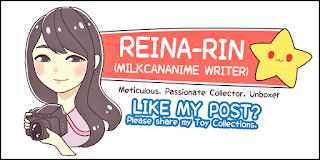 I wouldn't mention much about her here, but I'll include her in my loot post of Day 1, as well as make an unboxing and review article for her when I finish sorting out all the different loots from this trip. Note: Amiami is tax-free, but I believe that you need a minimum of 5000 yen purchase, including tax, before you can get a tax exemption. For that you will also need your passport, and a stay in Japan of less than 6 months. 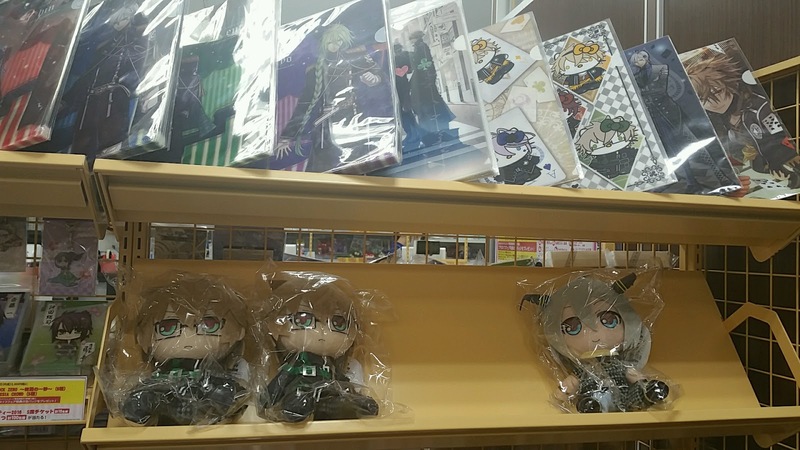 Also, for tax-free, the store will keep the goods in a sealed bag for you which you are not allowed to open until you leave Japan. If your sealed bag is found to be opened during your departure from Japan, you will be charged with the tax for your purchased goods. Amiami is sharing a building, thus you have to trek through mountains of AKB48 merchandise to reach the front entrance of the store. 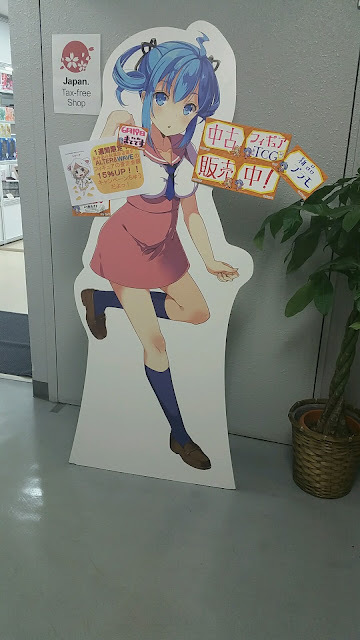 At the entrance, Amiami's poster girl will greet you, and that's how you know you're out of AKB48 world and into the 2D one. 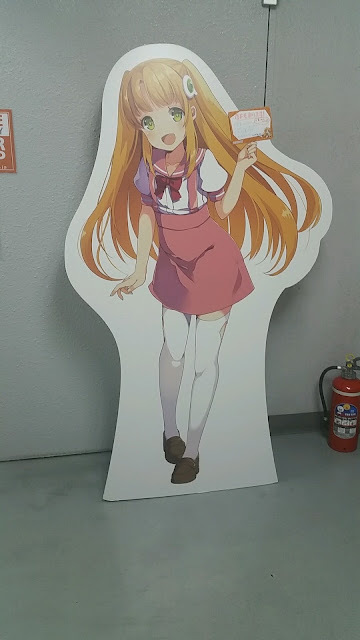 There is one of them on each floor! 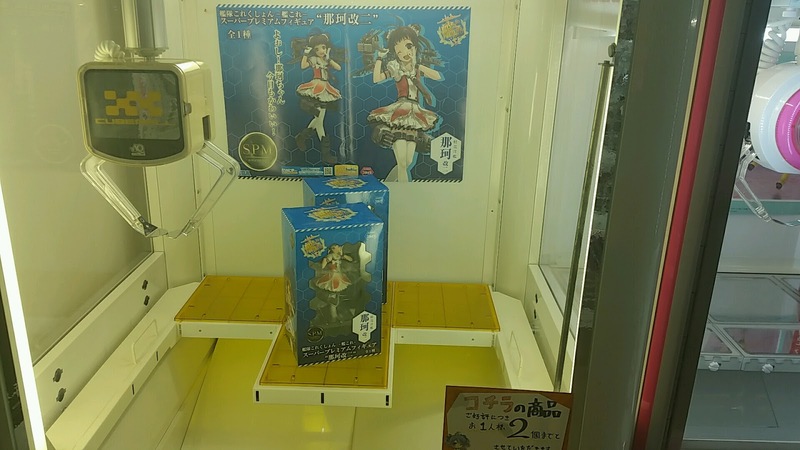 Amiami has 2 crane games, where you get to win figures. 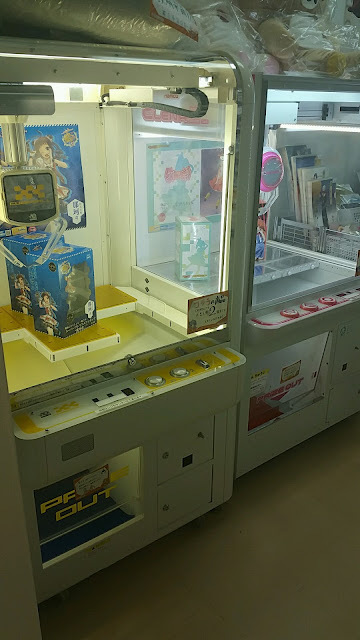 I didn't try any crane games on this particular trip because I lack the time and finances to do so. I would have probably spent a day in Club Sega or Taito Game Station otherwise, with the crane games in those places clad with Haifuri and Osomatsu. As a figure shop, Amiami obviously has no lack of physical figures, be it scale figures, prize figures or Nendoroids. 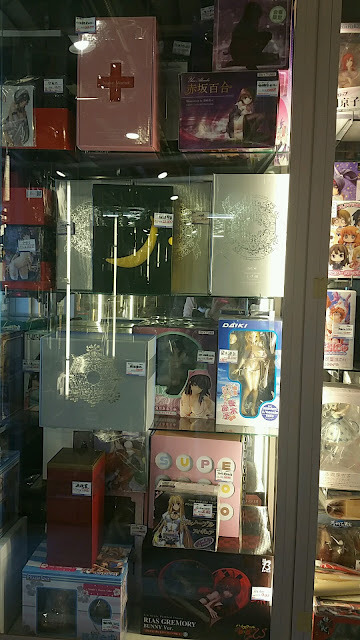 Apart from selling boxed up, new and pre-owned figures, Amiami also has plentiful of glass cabinets to display some of their scale figure selection. This allows customers to make a better decision on whether they want a figure or not, and most of the time, it boosts their business! However, customers are usually not allowed to touch or even go close to the display cabinets. 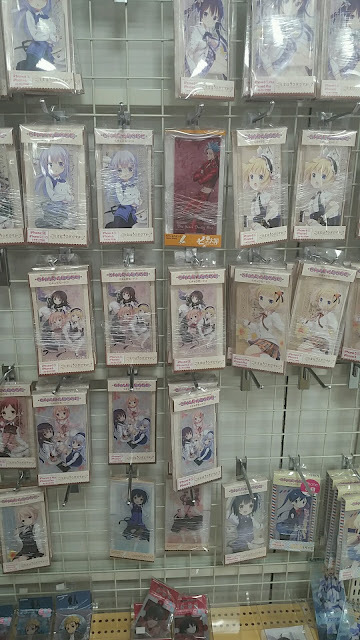 There are various other goods and merchandise that are not figure-related. Some examples are like books, or cushions, or even cycling outfits. There are even re-ment sets which I was very, very tempted to get but managed to stop myself before I went on a spending spree. 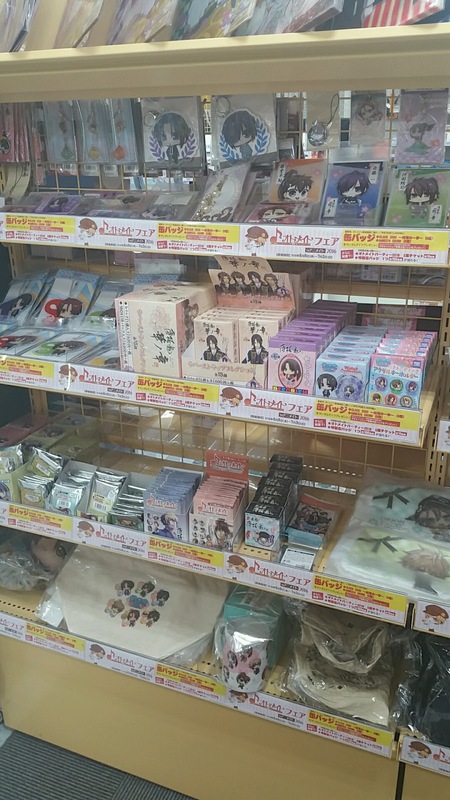 I actually do love re-ment sets, but I'm thinking of cutting down on them since I'm also cutting down on my Nendoroid collections proportionally. 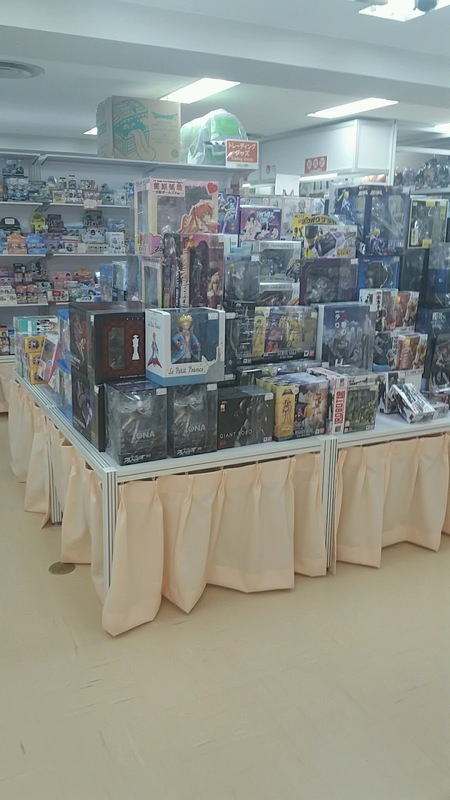 After spending about an hour in Amiami, I decided to pull myself back together and continue on my shopping spree. The first day is always the most important day, especially so when I'm on a tight schedule. 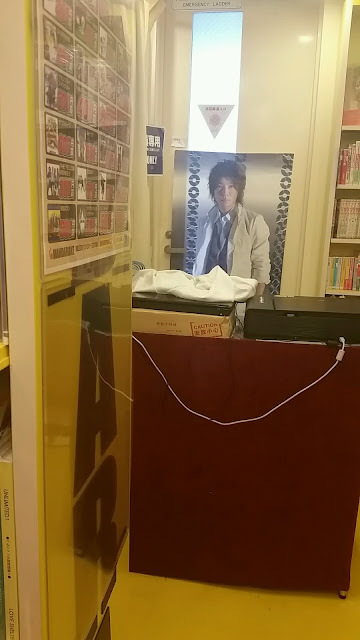 The next stop was Mandarake, which is just across the street. Here are the instructions to get to Mandarake from Amiami. The path to take here is self-explanatory, so I won't be adding any other explanations for this. Mandarake boosts a total of 8 levels, which each level targeting a different target audience. 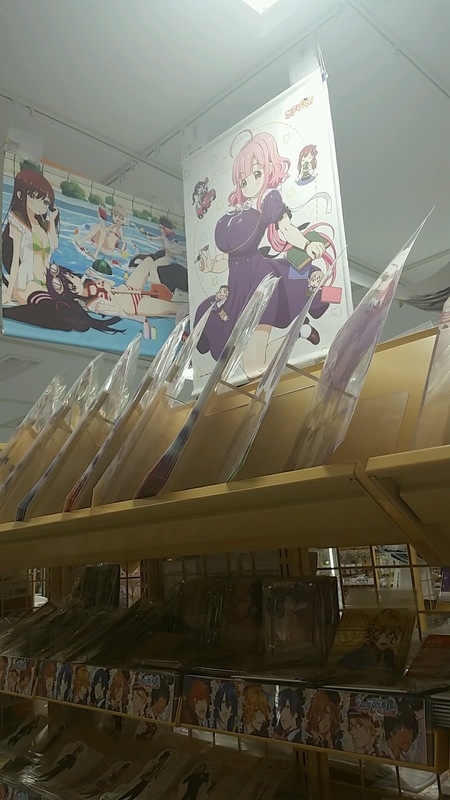 I only visited the figure and Doujinshi for girls levels, hence my review about this Mandarake branch would only be on these two levels. 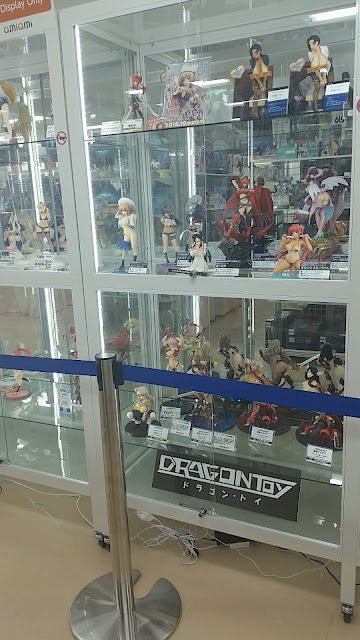 My first stop was obviously the figures corner. Being the main loot places for figures in Tokyo, Mandarake definitely has many reasonably-priced figures. The price range of goods which they carry varies and you definitely need to be there, looking for a figure, before you can get the full experience as well as compare prices. 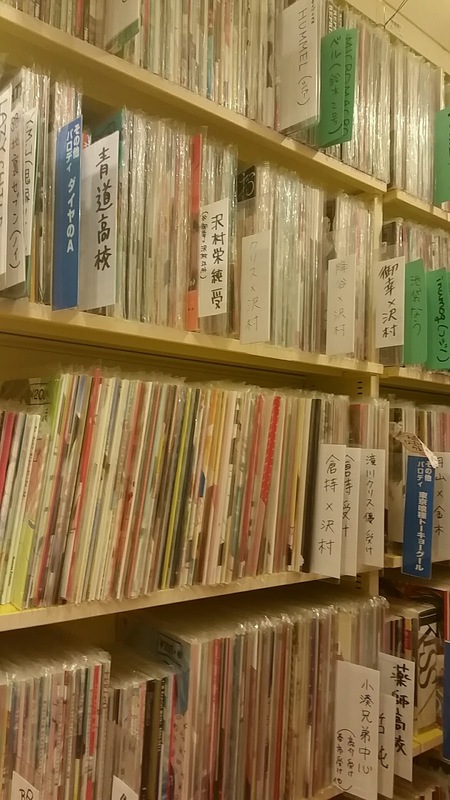 Sometimes, different Mandarake branches have different prices (depending on the condition of the merchandise), so if you really wish to save on spending, make sure to travel to different branches to compare their prices. Mandarake has many loose figures, which do not come with boxes. These are usually simply in plastic bags, taped up and hung up. This definitely isn't the best way to display figures, but they are much cheaper than those which come with a box. 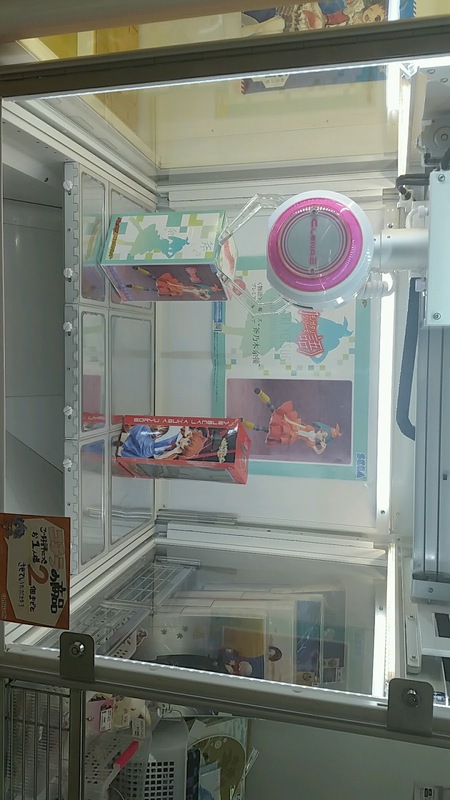 These loose figures are usually for prize figures though. 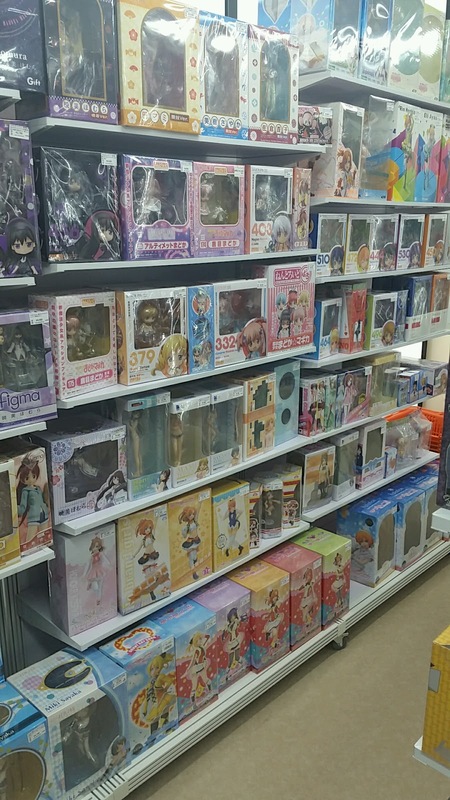 Scale figures usually do come with their own boxes, though some of them might be quite torn and tattered so it'll be good to check them all around before deciding on your purchase. 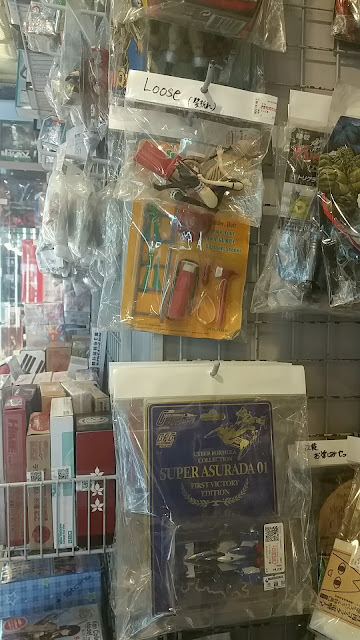 For some products, there might be missing parts so if you aren't able to read Japanese, make sure that you always check with the staff properly before purchasing (especially if the price of the product seems suspiciously low). There might be only a small difference if the figure is rare and the missing part is not a crucial part of the figure though. Lo and behold, Native figures. All these are usually fully covered boxes with no windows, which isn't a surprise, considering their origins. 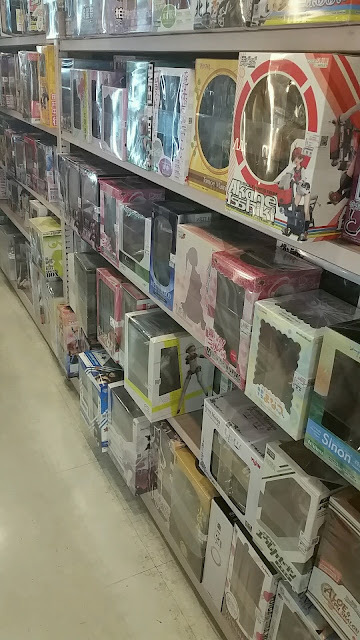 There is a whole shelf dedicated to Nendoroids, where you can find some older Nendoroids, but most of them are the newer ones this time round. There's a lot of Girlfriend Beta floating around, even in other stores. 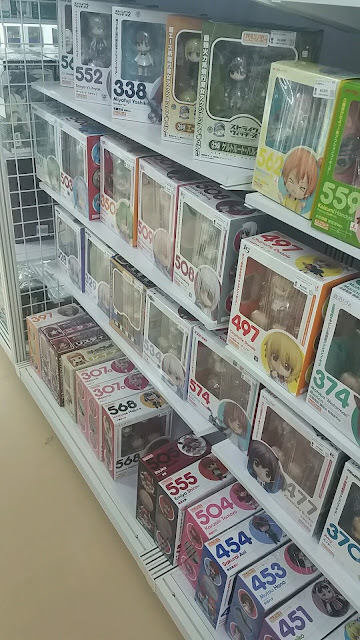 I always thought the 2 Nendoroids in that particular series are cute, but I never actually watched it so I can't decide if they are actually worth buying or not. The floor of doujins for girls is a mess as usual. You literally have to search through mountains of books to find the ones that you want. Never before had I thought that labeling could do so much, but in retrospect, I still had to search high and low for the ones I wanted. In fact, I actually gave up halfway and pinned my hopes on Toranoana instead. But that being said, I spent the longest amount of time in this store, at this level, searching for my doujins. 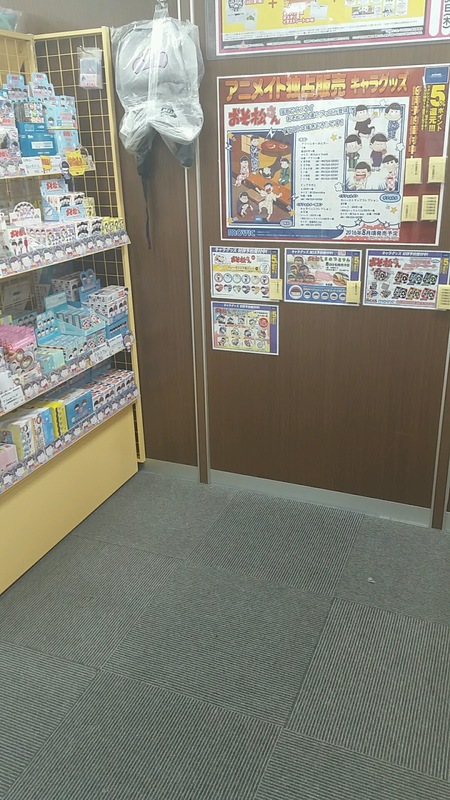 Though, do note that Mandarake does have an online store as well, and when you order through it, you are not guaranteed the item as there might always be others who visit the physical stores and buy your ordered item before the processing for your order goes through. As such, it's always nice trying to be one of those "evil" order-thieves, and you have the perk of not needing to pay for shipping as well. Lastly, Mandarake has a tax-free system in place as well, and the terms and conditions for it are similar to that of Amiami You can always ask the staff there for more information! No Comment to " Reina's Japan Trip, June 2016: Day 1 (Part II) [Akihabara, Tokyo] "